WASHINGTON — Maxar Technologies on July 16 purchased Neptec, a Canadian company with robotic expertise deemed useful for in-space activities like satellite servicing and building space stations. Maxar said the 42 million Canadian dollar ($32 million) acquisition of Neptec will fold the company’s 100 employees into Maxar’s Vancouver, Canada-based MDA division. Neptec will enable Maxar to leverage advanced electro-optical and electro-mechanical systems as well as LIDAR — Light Detection and Ranging — systems for connecting structures in space using guidance and navigation sensors, Maxar said. With offices in Ottawa, Canada and Harwell, United Kingdom, Neptec is a supplier for several international space programs, including the European Space Agency’s ExoMars rover cameras, Northrop Grumman’s Cygnus resupply vessel, and Canadian Space Agency-funded instruments for the International Space Station. 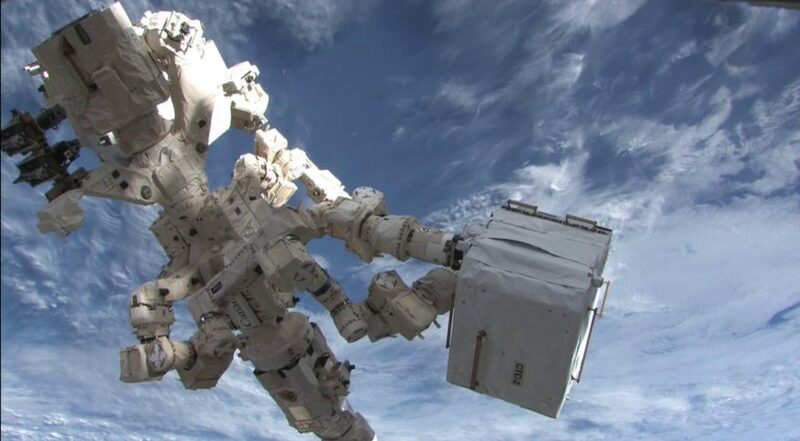 In April, the Canadian Space Agency awarded Neptec an CA$11.9 million contract to develop a new vision system for the ISS that would allow the station’s Dextre robotic arm to monitor for external damage. MDA said Neptec is well positioned for business areas including “on-orbit servicing, space mining, space manufacturing and the Lunar Orbital Platform-Gateway,” the latter being a NASA program to build a space station in orbit around the moon in the 2020s. “Robotics needed for this project will incorporate significantly more autonomous decision-making capabilities using artificial intelligence and state-of-the-art robotics and software,” Maxar said of the Lunar Gateway. Maxar, through its Space Systems Loral division, is developing a satellite-servicing vehicle with the U.S. Defense Department and plans to start a spacecraft refueling business in 2021. “The Neptec team is well-established in the industry, and this investment represents an important strategic opportunity to offer broader solutions for the growing space exploration market,” Mike Greenley, group president of MDA, said in a statement. Maxar said Neptec has also been developing quantum computing systems for space communications. Maxar paid for Neptec using roughly CA$8 million in cash and CA$34 million of common shares. The company expects Neptec will be accretive to its operating earnings per share starting next year. Maxar was formed last fall in a $2.4 billion deal that merged commercial remote-sensing firm DigitalGlobe and its Radian Solutions division with MDA and its Space Systems Loral subsidiary.